While it may seem like Ibiza is all about the parties, there are areas of the Balearic Island that have more to offer – one example is Santa Eulalia, a favourite resort of families and holidaymakers looking for a slightly quieter experience of Ibiza. The town, which is one of the larger cities on the island, is also one of the wealthiest thanks to its long history and geographical setting – Santa Eulalia is located on the only river that runs through the island, making it an important trade hub that has attracted settlers since the Romans. There is a Roman bridge that still stands today, as well as a number of other historic sites of interest, including Puig de Missa, a fort-like structure located on the top of the hill over the city. Originally designed as a defensive post against marauding pirates, today Puig de Missa serves as a ethnographic museum. Perhaps as a result of this accumulated wealth over the years, Santa Eulalia is very culture focused and plays host to a large community of artists who have made Ibiza their home over the years. 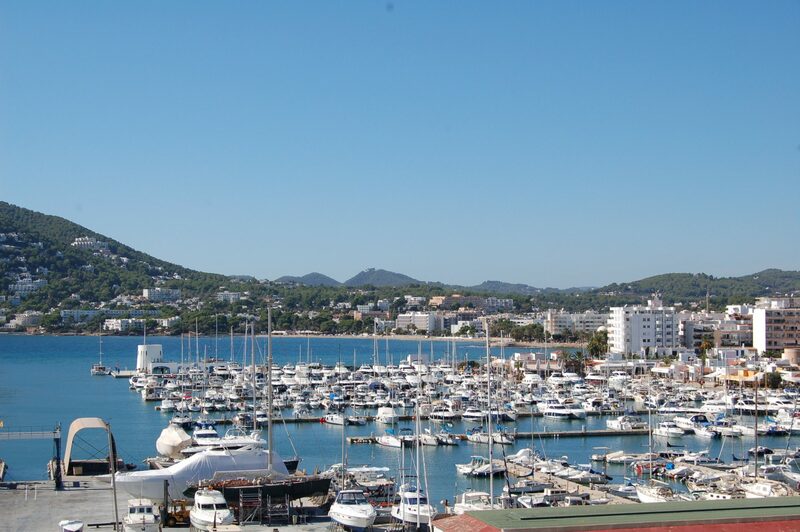 There are also the craft markets the town has become famous for, selling locally made arts and crafts, and the town is also the gastronomic centre of Ibiza. The reason for the gastronomic title lies with Calle San Vicente – ‘the street of restaurants.’ The street is closed to traffic in the early evening when tables and chairs are set out and the Calle is devoted only to that best of pursuits – consuming excellent food. There’s obviously plenty of classic Spanish cuisine on offer, as well as other options like Moroccan, Chinese and French. Another great selling point for the resort is the gorgeous white, sandy beach at Santa Eulalia. The beach is family friendly, offering plenty of water sports activities for kids of all ages, as well as ample opportunity for just sitting back in the sun and doing absolutely nothing. The beach promenade is interesting – running the length of the beach and offering a shady walkway, it is actually man made and was reclaimed from the sea. Sometimes referred to as the Mariner’s Walk, the promenade is a favourite holiday location for an evening stroll taking in the sea views and checking out which restaurants and bars to head to later. If you walk the length of the promenade to Mariner’s Beach at the far right hand side, there is a pretty river walk you can do which takes you past a restored Roman bridge and up to the little beach of Calo de S’Alga at Siesta. Accommodation in Santa Eulalia offers some of the best choice on the island with hotels, hostels and apartments available for every budget. Because the resort is fairly sizeable, it’s very well connected to other parts of Ibiza, with a ferry to Es Cana round the corner and bus connections to all the major resorts and clubbing hotspots. Nightlife in Santa Eulalia might be quieter than somewhere like Playa D’En Bossa or Ibiza Town but it won’t leave you twiddling your thumbs that’s for sure. There’s plenty of drinking options, from local bars, to a British pub, and once you’ve tanked up on cocktails you can hit Guarana club and dance the night away until they kick you out at 6am. Failing that, jump on the bus to the big clubs like Privilege and Pacha. If you’re looking for a bit of culture during your Ibiza holidays, but you don’t necessarily want to skimp on the highlife and the opportunity to dance all night, then take a look at the possibilities offered by Santa Eulalia -it may be the perfect Ibiza compromise.